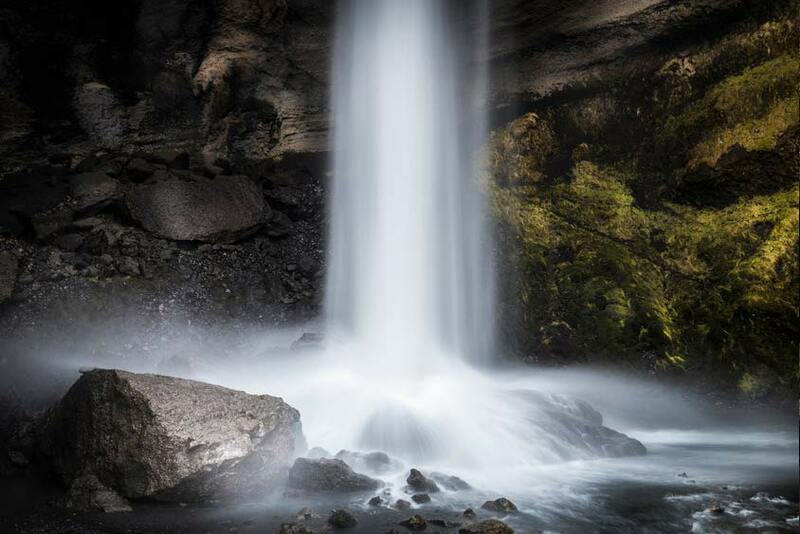 There are countless waterfalls in Iceland. and there’s a special kind of waterfall; the waterfalls you can walk behind. 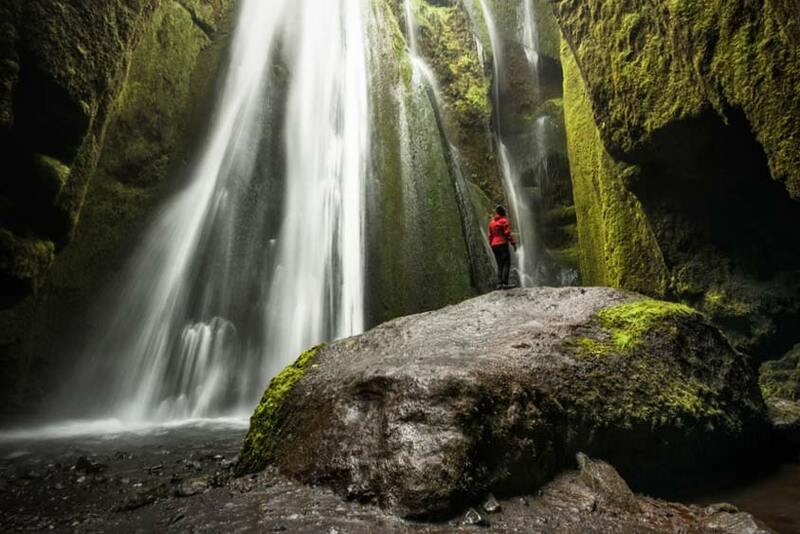 There are countless waterfalls in Iceland. They’re all beautiful in their own way and some are obviously more impressive than others. But then there’s the special kind of waterfall; the waterfalls you can walk behind. We have at least four of them in Iceland. Please, please, be careful when you walk behind them, because the ground can be very slippery and for some of them you need to do a little climbing or hiking. If it’s the middle of winter and the ground is icy, ask a local if it’s safe. Oh, yes, you will get wet. So, make sure you bring raingear. Without a doubt, the most famous waterfall in Iceland people that can walk behind. It’s usually the first stop on all South coast tours. The waterfall is easily accessible from the parking lot and people don’t usually have much trouble walking behind it since there’s plenty of space. A bit further north of Seljalandsfoss is Gljúfrabúi waterfall, also known as Gljúfrafoss. It’s partially hidden behind a cliff but you should be able to find it. Getting close to it is NOT easy and can even be dangerous for some people, so approach it with caution. You´ll not only have to climb a bit, but also wade a river. Obviously, you´ll get really wet from wading and because you sort of walk into it instead of behind it. Further along the South coast you´ll find cavernous waterfall. It’s a bit east of Skógafoss and you must be ready to hike around 20 minutes to get close to it. 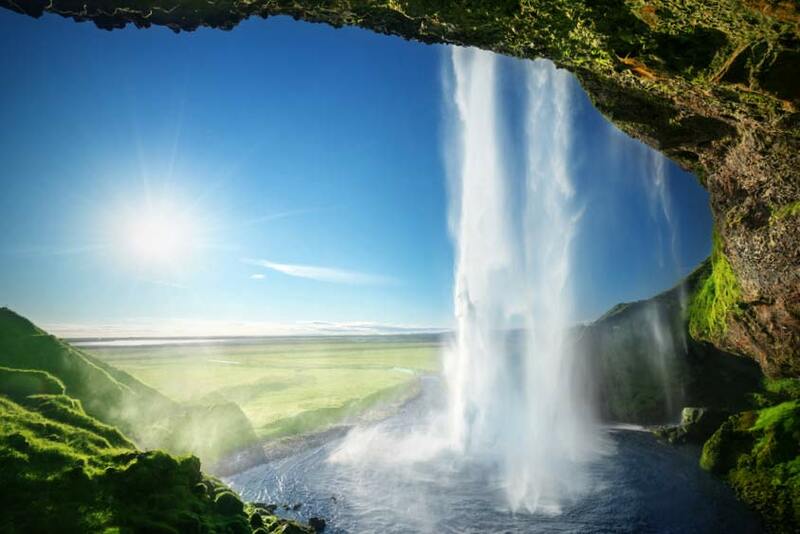 Since it not as well known as Seljalandsfoss and not as easily accessible, Kvernufoss will be less crowded. 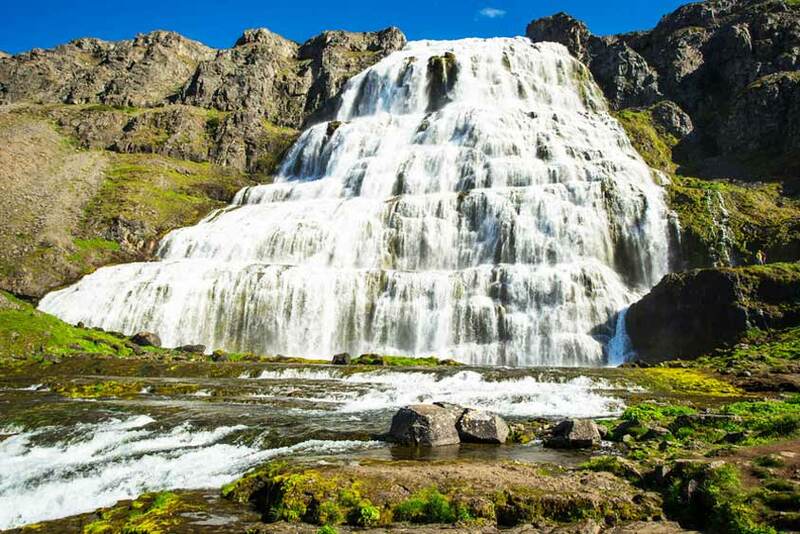 One of the most beautiful waterfalls in Iceland is Dynjandi in the West fjords. It consists of 6 waterfalls in total, and Göngumannafoss is one of them. It has a tiny space behind it and it’s possible to walk there but you need to be extremely careful.